We are a worker-owned cooperative bike shop in San Francisco’s Mission District committed to helping our customers enjoy riding their bikes. Our five worker-owners’ and staff members have diverse backgrounds in mountain biking, cyclocross, couriering, bmx, bike commuting and bike touring, all of which are reflected in our unique product selection. At Box Dog we believe that our business is more than just a shop; it is a community hub for bicyclists both new and experienced. We organize bicycle camping trips, collaborate with other local cooperatives, and make sure that every customer who enters our store is offered respect and clear mechanical explanations and advice. At Box Dog Bikes we all have a vested interest in making sure making sure you're happy with the service we provide. We stand by our work and have years of experience working in the bike industry. Stop by to learn more about the services we offered. Please don't hesitate to bring your bike to our shop, all assessments are free. Air and oil is always free. 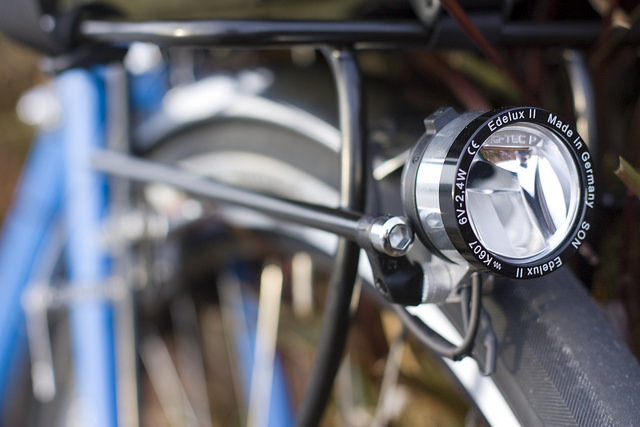 At Box Dog Bikes, we have curated a selection of parts and accessories that we not only stand behind, but those we use on a day to day basis. This means you can rest assured that they will perform under pressure. Over the years the Pelican has been refined into a low trail, fully-integrated randonneur bicycle. Its intention is a quick riding, long distance road bike, designed to carry a small amount of luggage. There are built-in provisions for full coverage fenders and brazed-on wire guides for generator lighting front and rear. The Pelican's latitude includes riding on all roads, in all weather, and at all hours of the day & night. It is not a general “all- rounder”, which is okay at many things but does not excel at any. Nor is it a touring or a cross bike. While it can be used for those functions, the Pelican is much more specialized. We see it as a better design than other off-the-peg randonneur bikes on the market and aesthetically different in many ways. Without going too far into the technical and sometimes confusing details of low trail geometry, the concept was pioneered and championed by the French in the 1930’s onward, allowing their bikes to handle properly with handlebar bags. It has come back into vogue among builders in the past 5-10 years who have rediscovered its utility. Ideally the weight in front does not pull or direct your steering inputs like one experiences when riding with a front load on higher trail bikes, in which the rider is required to steer with the bars more than with their hips or body. The Pelican’s low trail geometry also allows it to handle neutrally with a front load. With a front load of 5+lbs, the Pelican steers like an unloaded traditional “high trail” road or cross bike. Low trail bikes have the tendency to “rail turns." 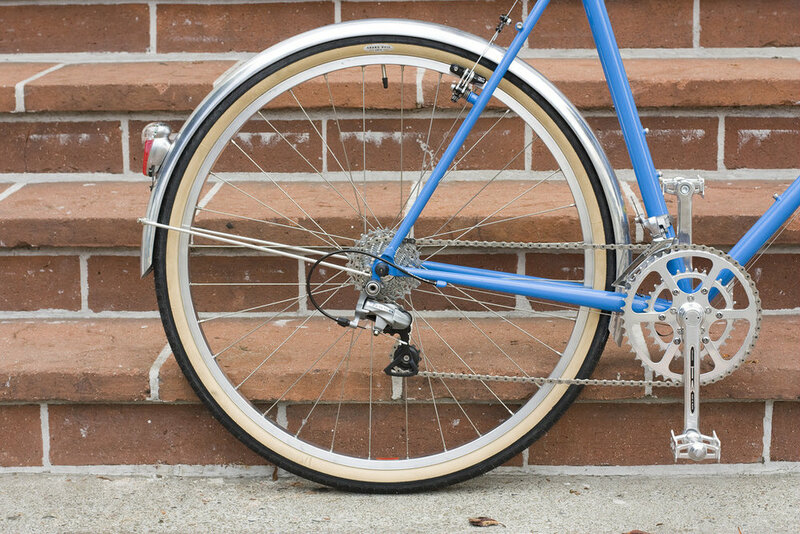 Other geometries require a lot of leaning, braking, or many small turning inputs to steer the bike through a turn at speed. With low trail bikes, you point the bars/wheel and let it go. It is also easy to change your line if required without degrading handling or safety.